Today I would like to share with you a few treasures from some of my very favorite artisans that just happen to have online shops full of enticing things. 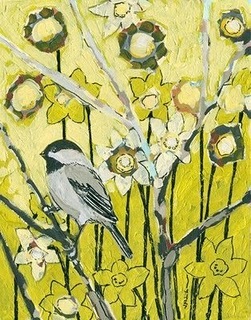 Jennifer Lommers is the artist behind this lovely piece of nature, titled "Waiting for the Dance of Spring". 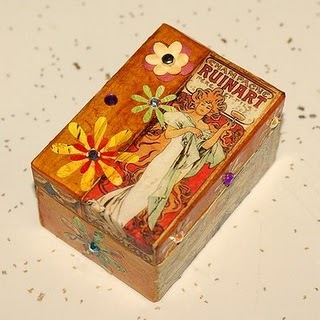 Marie Bahr aka Paint All Night Studios is best known for her stunning abstract paintings, but while checking out her Etsy Shop I found this sweet little treasure of a box. 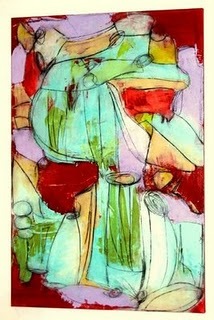 I found this expressive piece in Ingridsart Shop. Titled "Attitude" and is created with acrylic paint and charcoal on canvas. 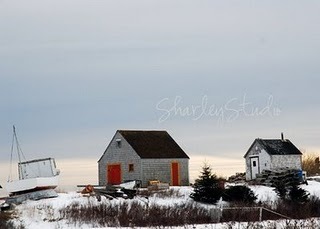 Sharleystudio photographs her surroundings of Nova Scotia, Canada and keeps an intriguing blog about her daily life there. That's not all, recently she has found time to publish an art filled book, about pets titled, Paws For Charity.